Roller shutters have so many benefits for your family home they seem almost indispensable. Not only do they insulate your home and add security, they keep out noise and UV rays, ensure privacy, and protect your home from the elements. They look sleek and stylish and can improve the look of your house (and potentially it’s selling value). Even better, with roller shutters, you can tackle energy bills, helping to save both your money and the environment! However, unless properly installed, you will achieve none of these things. Thankfully, the installation process is pretty easy. 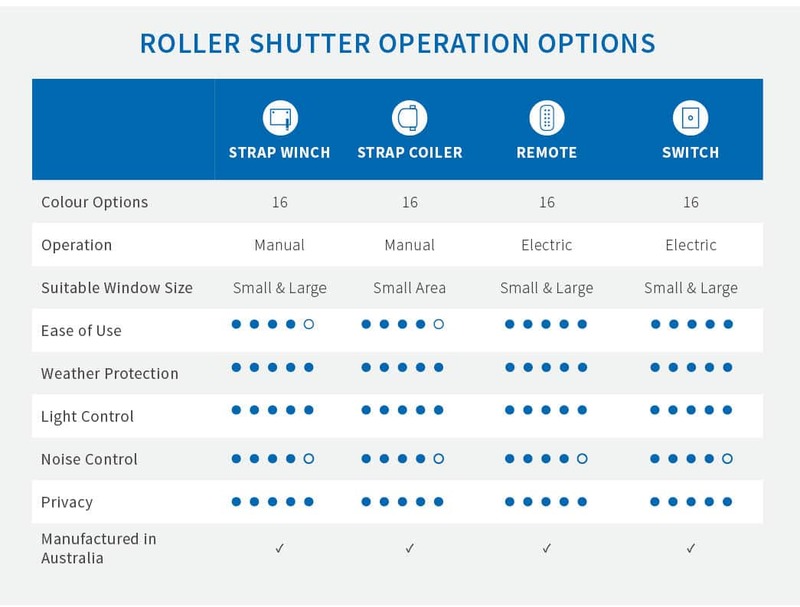 To make it even easier, we have the below guide to help you choose the right roller shutters to suit your needs, budget and home style. This can be for some a difficult step in their installation journey. Thankfully, our experienced design consultants will be on hand to guide you through this stage. Roller shutters can be fitted one of two ways: outside the window or inside the window opening. If you fit your shutters outside the window, it will appear flush with the wall around the window. Alternatively, you can fit the shutters inside the alcove created for some windows, so that it appears framed by the wall around it. 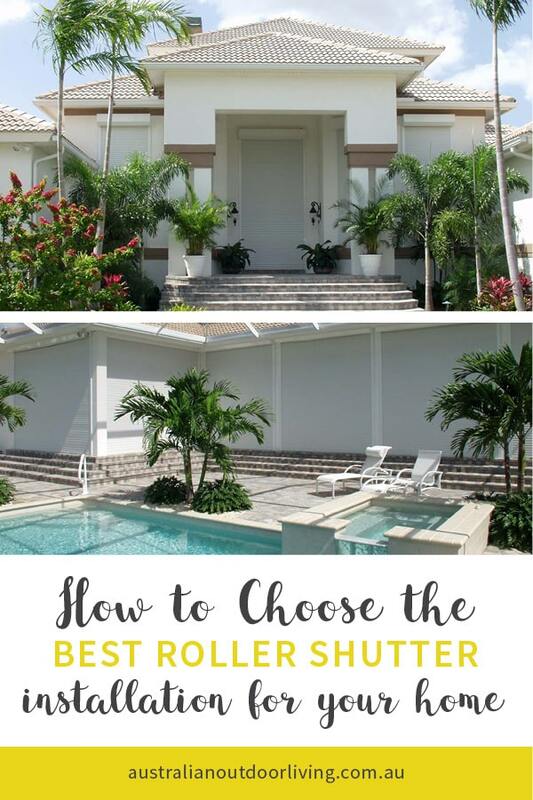 You will have to decide which fit you’d prefer since the roller shutters will need to be measured accordingly. Once you’ve picked the operating method for your roller shutter as well as the fit, you have only the most enjoyable decision left to make: which colour and design you’d like your shutter blinds to have. Shutter blinds have evolved a lot since they were first invented. Today, they can come in a variety of materials, colours and styles to suit just about any home. In fact, we at Australian Outdoor Living offer 6 standard and 10 powder coated colour options so you’re bound to found something to blend with your home’s exterior! After your colour, design and material are locked in, all you need do is set the installation date and let our experts do the rest! You’ll be able to enjoy reduced electricity bills, greater security, added privacy and peace and quiet in no time at all! Ready To Install A Roller Shutter?